Are you tried of the feast and famine of clients and in particular – MONEY in your business and life? No matter how hard you work, you’re either struggling to make ends meet, OR you may just have enough to pay your bills with no much left over. Or maybe, the topic of money makes you cringe and you just don’t like talking or thinking about it. If that describes you, then this show is a must listen as my guest today is going to show you how you can start to build your money muscles. Today, I’m joined by Joan Sotkin is THE expert when it comes to understanding how emotions learned in early childhood can affect a person's earning capacity as an adult. For over 25 years she has helped entrepreneurs and practitioners experience freedom from struggle personally, professionally, and financially. Joan Sotkin is THE expert when it comes to understanding how emotions learned in early childhood can affect a person's earning capacity as an adult. For over 25 years she has helped entrepreneurs and practitioners experience freedom from struggle personally, professionally, and financially. 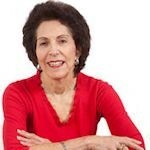 Thousands have benefited from Joan's groundbreaking book Build Your Money Muscles: Nine Simple Exercises for Improving Your Relationship with Money and her ongoing support programs. Joan is a dynamic, inspiring speaker and coach who brings a depth of knowledge plus a huge dose of empathy and compassion to her work. What inspired you about the message Joan shared today? What action are you going to take? [Ambitious Entrepreneur Show #142] How to build your money muscles with Joan Sotkin. Are you struggling when it comes to making money, saving money, and managing your money? There’s a reason why, which Joan shares in this episode. What’s one insight and one action step you’re doing to take in the next 24 hours after listening to this episode?